KOREA’ S First Lady KIM JUNG SOOK DRESSED BY FRENCH DESIGNER LUCIE BROCHARD.võ when she landed in Paris. A great symbol of friendship between Korea and France. the meeting took place at Maison de la Mutualité. During this meeting, artists and business people were decorated for their actions linking France and Korea. More than 200 people attended this meeting. President Moon Jae-in and his wife Kim Jung-Sook delivered a symbolic pin to Lucie Brochard, a French National with Korean roots who designed the outfit of Korean First Lady was wearing when she arrived in France the same day. 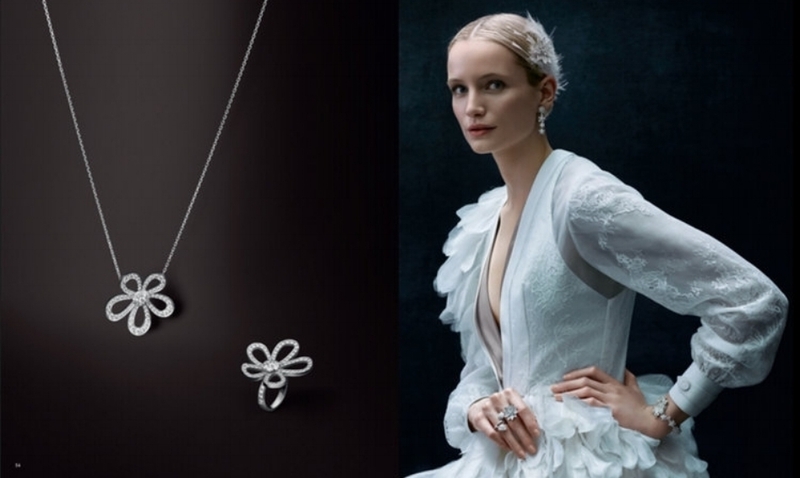 Top SWAN et robe DROUOT ( plumes de soie d’organza fait main) en page de couverture de Van Cleef & Arpels. Catalogue AH16. 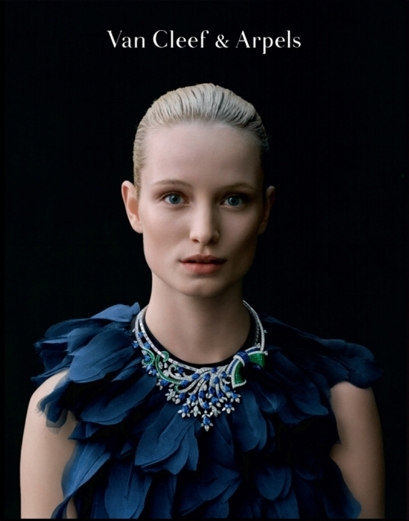 SWAN top and DROUOT dress ( Hand made feather top in silk organza) on Van Cleef & Arpels cover page. Catalog AH16. 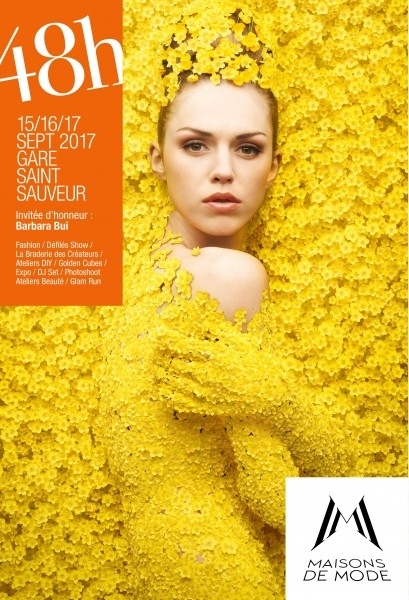 Miss France Alicia Ayles fait la première page de Paris Match portant la robe DROUOT (plumes en soie d’organza). Miss France Alicia Ayles made the cover of Paris Match wearing DROUOT Dress (feather top in silk organza). 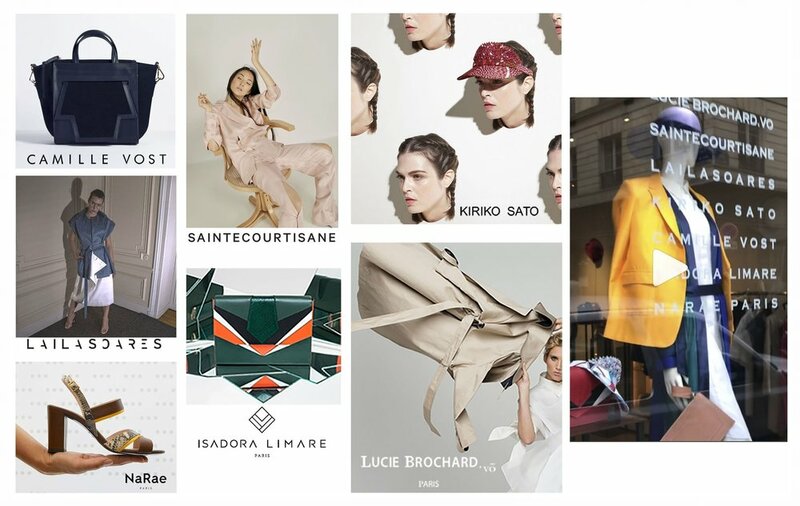 Lors de l'année France-Corée à la Fashion Kode de Séoul, Lucie Brochard en association avec la marque Lie, vous présente ses trois collections « Escale » « Vol A264 » « Un jour, une nuit HK ». Lucie Brochard.võ brand is presenting her trilogy collection « Escale » « Vol A264 » « Un jour, une nuit HK » during the FRANCE-KOREA year at Fashion Kode with the brand Lie. Lucie Brochard.võ brand is presenting, for the second consecutive year at famous palace Le Bristol Paris during the fashion week, her new collection « One day, One night HK ». Tv show - Goûts de Luxe Paris : Made in Paris de Lucie BROCHARD.võ. Meeting with Lie Sang Bong: famous Korean Fashion Designer Mr Lie Sang Bong came to visit Lucie Brochard at her private showroom located in rue Godot de Mauroy, Paris. Agnes Belayer: Commissioner of the France-Korea Year. Lucie Brochard.võ’s ambassador during ceremonies and presidential diner at L’Elysée. S.E.M. Hye Min LEE: Republic of Korea’s Ambassador, present with his wife to the presentation collection at the Palace le Bristol Paris. PROMOTION CAMPAIGN - SHY'M - ALBUM "À NOS 10 ANS"
Shy’m a fait un passage très remarqué dans l’émission de Laurent Ruquier, qui a mis à l’honneur la création de Lucie Brochard.võ. Lucie Brochard.võ is presenting last March 2016 at la Maison de la Création et du Savoir Faire the first 2 episodes of a trilogy. During this ephemeral showroom, a travelling experience was offered to visitors in order to explore the brand universe. Lucie Brochard.võ is presenting at the palace Le Bristol Paris its capsule collections « Escale » and in exclusivity « Flight A264 ».